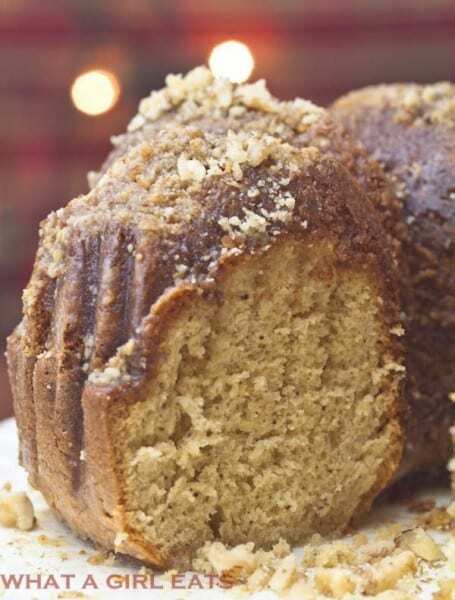 This Bacardi Rum Cake is the original recipe from the 1970’s. 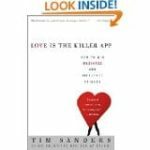 In 1993, Tim Sanders, director of Yahoo’s in-house think tank, wrote a book called,”Love is the Killer App, How to Win Business and Influence Friends”. Tim believes in being a “Love Cat”, and sharing your intangibles with those you meet. What are the “intangibles”? Knowledge, network and compassion. Sharing your knowledge with others does not take away from your soul. I believe that the more of ourselves we give, the more we get in return. Is that Karma? Push out good and good will come back? So what, you ask, does The Killer App have to do with food? My first year of teaching, we had a Christmas potluck at work. Someone brought a delicious Bacardi Rum Cake. 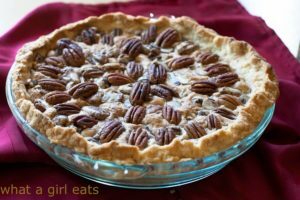 Meredith, who started teaching with me that same year, raved about it and asked the baker for the recipe. “It’s a secret recipe from my aunt, so I can’t share it,” she said. The silence in the room was deafening. Meredith was embarrassed and I was embarrassed for her. YOU CAN’T SHARE A RECIPE?! What’s with that? Please tell me you are not one of those people?! A recipe is not part of your soul! And if it is a part of your soul, you won’t lose a part of yourself by sharing. In fact a part of you will be with everyone you share it with! That Christmas break, I experimented with about 3 different rum cake recipes. Then my mom said she remembered Bacardi publishing a rum cake recipe in the 70’s. With a little research, we found the Bacardi Rum Cake recipe (this was 20+ years ago and pre-Google). I returned to school after break with a copy of the recipe and all the ingredients to make the cake, which I gave to Meredith. So, especially as the holidays approach, remember to be a “Love Cat” and share your intangibles, because, “Love is the Killer App”! This is a really good time for me to thank all my “Love Cats” who have unselfishly helped me, supported me and given me advice throughout the last 6 months! This cake would make a nice hostess gift during the holidays. For more edible gifts, try Peppermint Bark Cups, or Truffles. The reason she probably didn’t want to share the recipe, is that it is so easy. That’s because it uses a cake mix! Forgive me. But it’s really a good cake! Here’s the Bacardi rum cake recipe. Enjoy! Preheat oven to 350*F. Brush or wipe bundt pan with oil making sure to get into all the crevices so that the cake will come out easily. Dust with flour and remove excess. Sprinkle nuts in the bottom of the pan and set aside. Place the cake mix, pudding mix, rum, oil, water and eggs in a large mixing bowl. Blend with an electric mixer on low speed for 1 minute. Stop the machine and scrape down sides. Increase the mixer speed to medium and beat 2 minutes more. The batter should look thick and smooth. Pour the batter into the prepared pan, smoothing out the top with a rubber spatula. Bake the cake until it is golden brown and springs back when lightly pressed with your finger, 55 to 60 minutes. Remove the pan from the oven and place it on a wire rack to cool for 20 minutes. 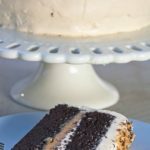 Run a long knife along the edges of the cake and invert on a serving plate. Poke holes in the top of the cake with a wooden skewer. Prepare glaze: Place butter in a small saucepan and melt it over low heat, 2 to 3 minutes. add the water and sugar, stirring. Increase the heat to medium and bring the mixture to a boil. Reduce the heat slightly and let the glaze simmer until thickened, 4 to 5 minutes, stirring constantly. Remove the pan from the heat and stir in the rum. Spoon the glaze over the warm cake, allowing it to seep into the holes and drizzle down the sides and into the center of the cake. 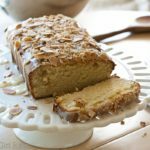 Allow cake to cool completely before slicing. Store the cake covered in foil or plastic wrap, at room temperature for up to 4 days or in the refrigerator for up to 1 week. 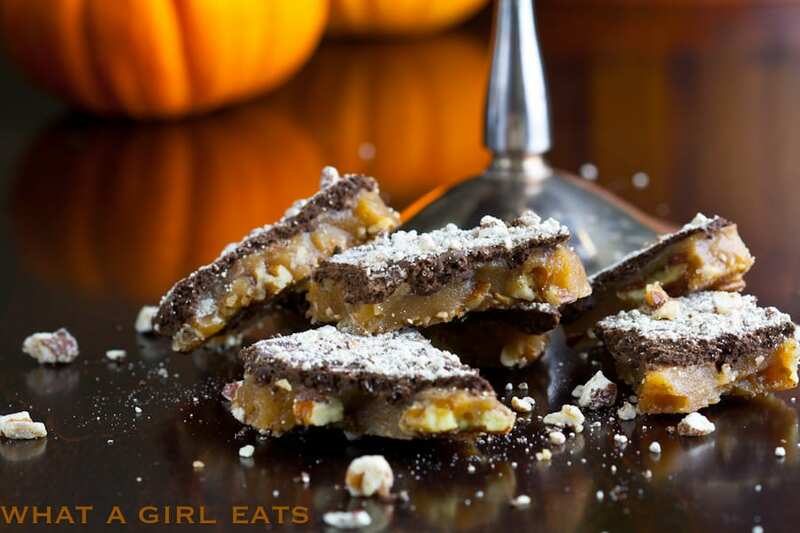 Looking for more nutty desserts? Original recipe for Bacardi Rum Cake from the 1970’s. 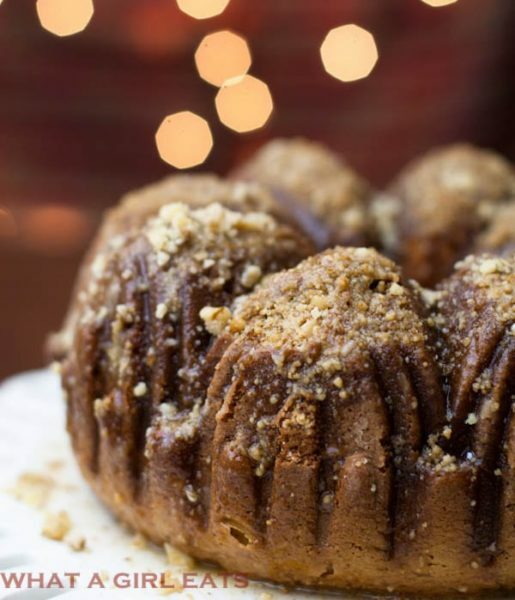 Could this Rum Cake recipe be modified by using rum flavoring instead of the rum? If so how much to use and what could be used for the liquid? Thank you so much. I would love to try this cake, it looks so yummy but I have young children that would be eating it. Again thank you so much. @Hazel, absolutely! I agree it’s pretty rummy! I usually label it in case there are adults who are sensitive to alcohol as well. You said it would be okay to substitute Rum Extract for actual Rum, but you did not give the substitution amounts! How much extract should be used instead of 1/4 cup Rum? Why don’t you just make them something else? They probably wouldn’t like the taste anyway. Yes, that’s probably a good idea! I always made it when my kids were young. I just didn’t serve it to them! Thanks so much Michele! I just made a gluten free scratch version this weekend! Michelle, my house is gluten free And I struggle with baking. Would you mind sharing your version? 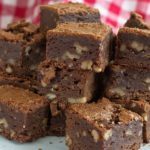 Hi Barbara, that was me, Cynthia, that made the #gf version…That was over a year ago, and I’m sorry to say that I didn’t write down the recipe. However, I find that there are sooo many good gluten free flour blends available in the stores today, that you should try to bake with one of them. Also, type “gluten free” in the search bar for LOTS of GF baked goods and dishes. Hope that helps! Debi, totally! Thats why we started blogs! I love to share recipes and I find it so funny how protective people are sometimes over recipes. This cake looks lovely and I want to try it with my yellow cake <3 Yum! @Serena, I agree, that’s why we started blogs right? Dear Cynthia, I love your blog for many reasons. One is that you are “real”. I’ve also been told that someone they would not share a recipe with me. It never occurred to me that someone would not want to share the joy of a wonderful recipe. In fact, imitation is the sincerest form of flattery. 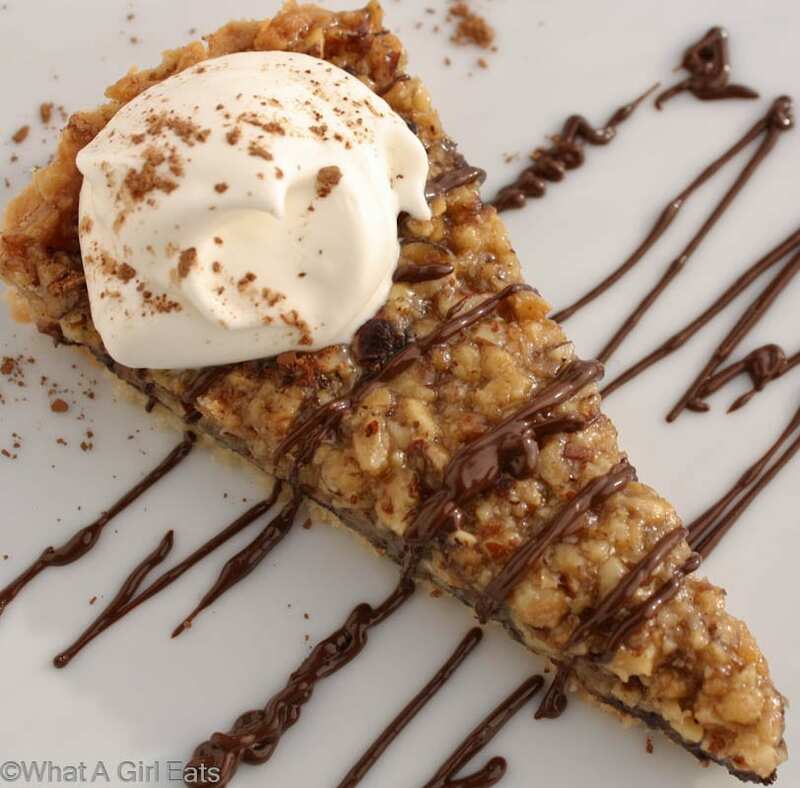 Thank you for sharing all your delicious recipes here at What a Girl Eats. Sharing is what make the world go round…a global spin if you will …. 😉 This cake looks scrumptious and I must make it! The true origin of this recipe isn’t the Cake Doctor. It first appeared in women’s magazines in the mid-70s, perhaps earlier, in ads run by Bacardi. Thank you for publishing it online, because I haven’t baked one in more than 20 years! It will be a great addition to the Thanksgiving table. I understand substitutions, but you REALLY want to use the real thing for this cake. Rum all the way. Go big or go home! Thank you for publishing it online, because I haven’t baked one in more than 20 years! 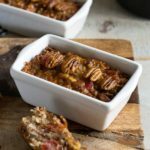 It will be a great addition to the Thanksgiving table. Especially with a nice dollop of whipped cream. You are correct…I think I said that in my story. When I told my mom about it, she said she remembered it from the 70s. It was just a coincidence that I found the cake doctor’s version. We’ve since found the little clipping from the magazine, and you’re right, it’s the same! I need to do a non cake mix version too! Thank you for that! I’ve always baked it at 350, but I think every oven is different. I think mine runs a bit low.